The Catana DX Super Sensitive sets new standards for highly affordable lightweight spinning rods designed for ultra light fishing. The slim XT40 carbon blank is fitted with a solid carbon tip for maximum sensitivity and the medium fast action helps casting performance and hook setting. 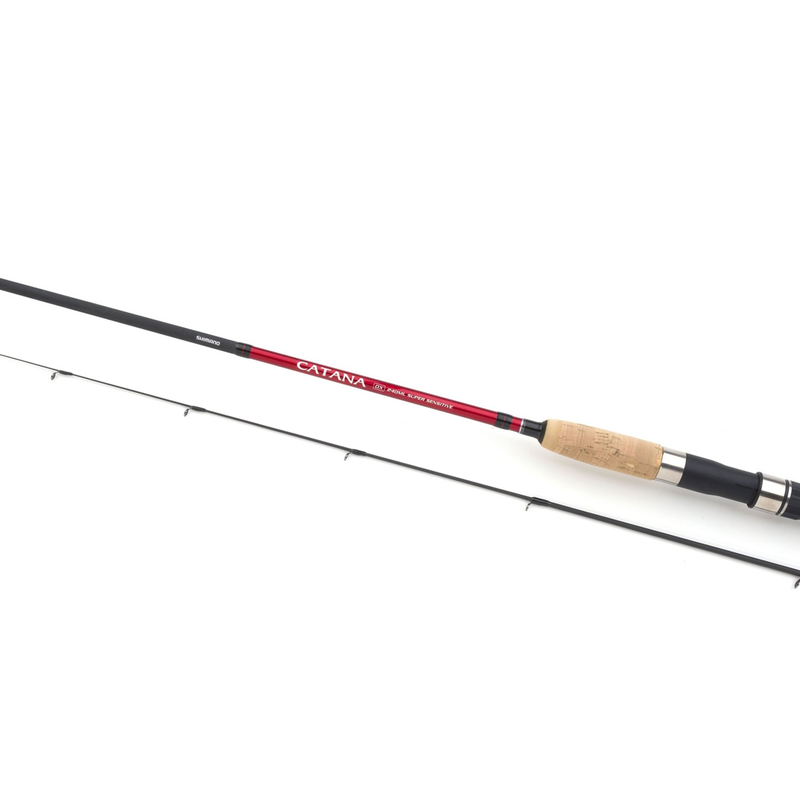 Available in four models all rods are fitted with a Shimano Custom reel seat and Shimano Hardlite guides.